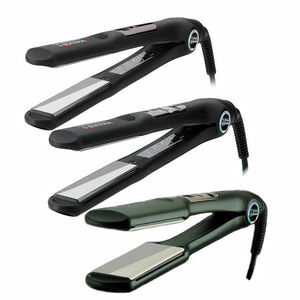 A choice of straighteners that heat quickly and leave hair silky, shiny and moisture-resistant. 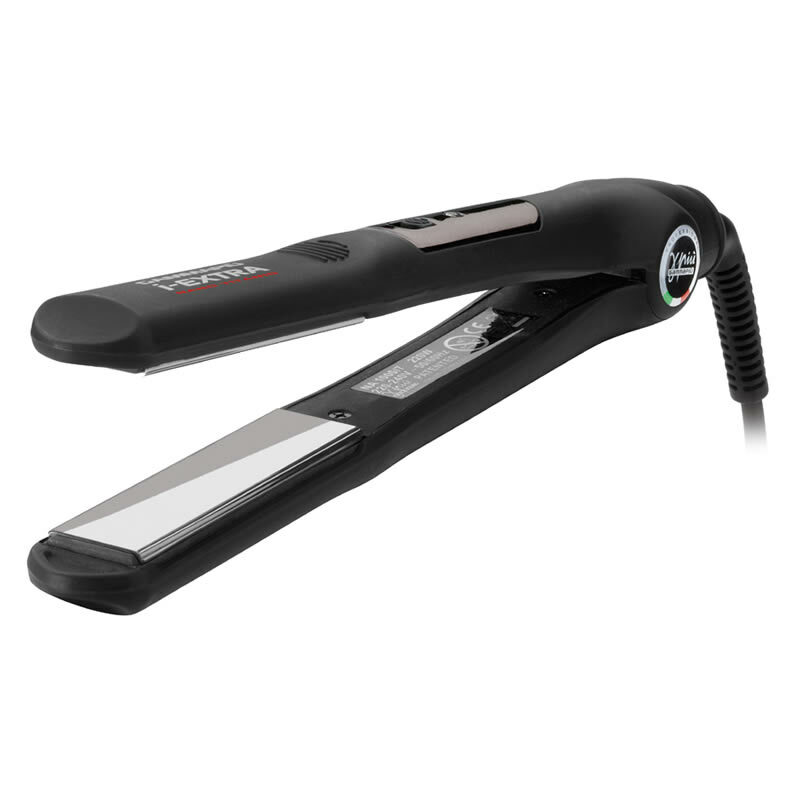 These Gamma Piu i-Extra Straighteners all rapidly reach their maximum temperature of 220ºC and all feature Ceramic floating plates with a Tourmaline coating. 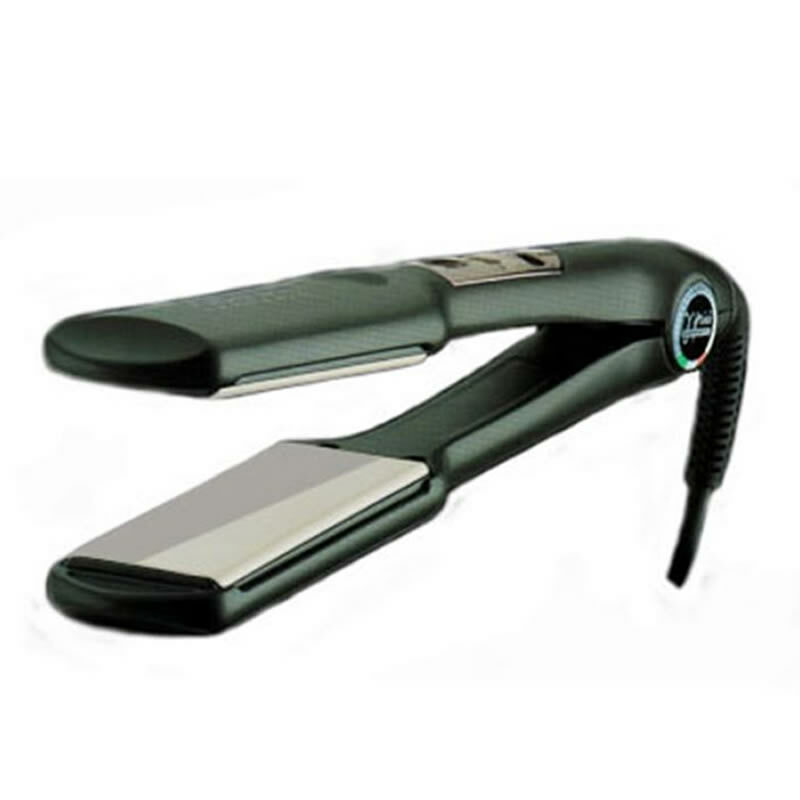 This means your clients' hair will be left looking wonderfully shiny and silky. The 2 digital models additionally feature an electronic digital control with 1º step temperature adjustment enabling you to precisely adjust them to the perfect temperature for each hair type. The in-built LCD display indicates the temperature. 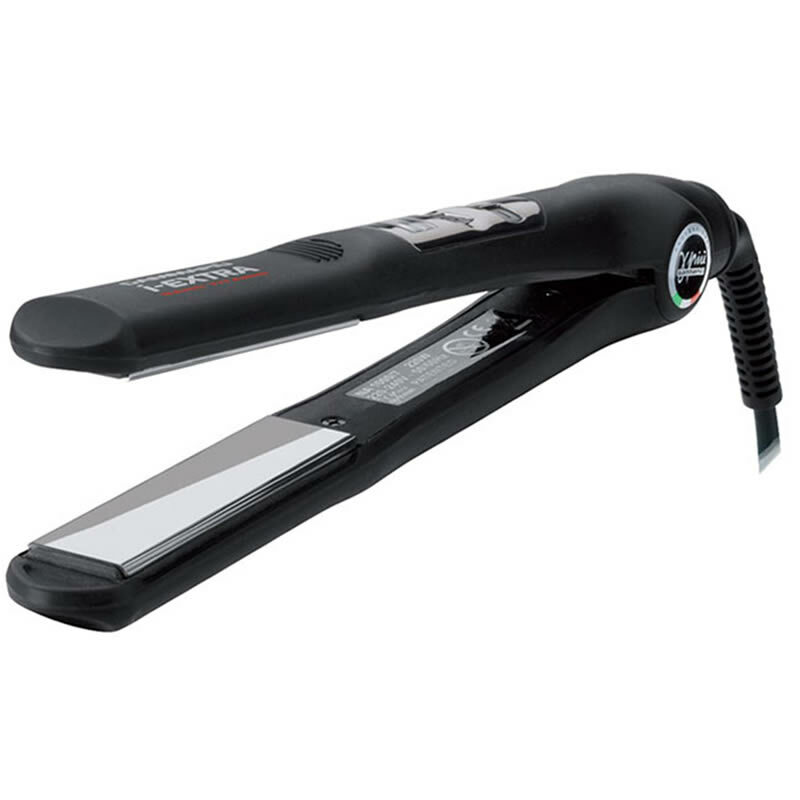 Create awesome ringlets and beautiful, long-lasting curls for your clients with ease! All models feature anti-slip rubber bumpers, ergonomic grip, a rotating long-life cord strain relief with 3m cable and a 12 month warranty. £89.99 (inc. VAT) Why no VAT? We're a trade wholesaler and quote our prices without VAT to help our VAT-registered customers understand the true cost of a purchase.